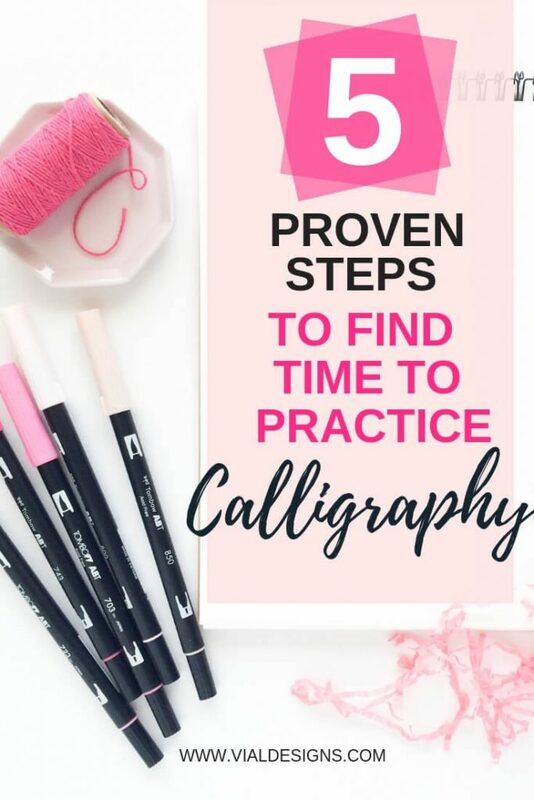 How to find time to practice calligraphy or lettering? This is the million dollar question, right? I’m here to help you with the answer and don’t worry; it won’t cost you anything. When I get asked for the best calligraphy advice for beginners, my simple answer is to practice. Then the following question comes, how do I find time to practice? 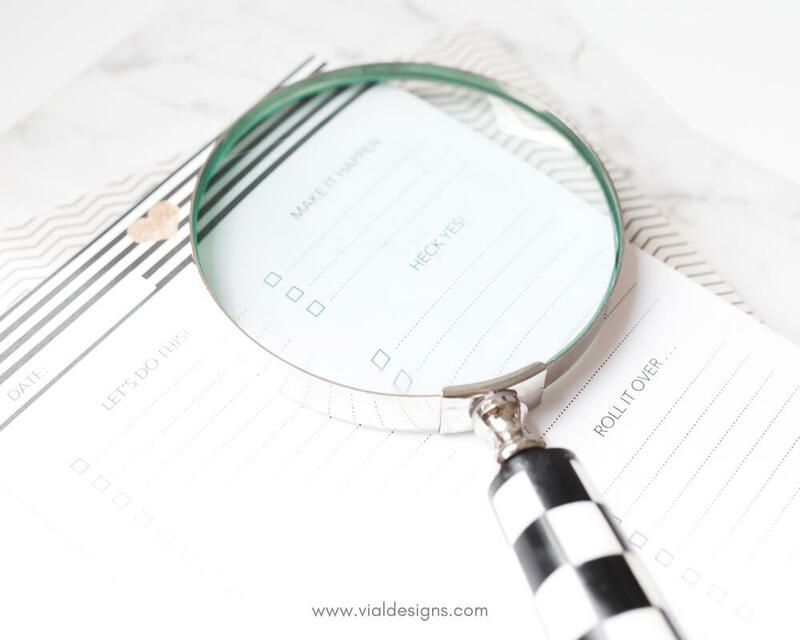 I recently asked my tribe (AKA Vial Designs Insiders, make sure you get amongst them here) what are you currently struggling with? An overwhelming majority of you said: HOW TO FIND TIME TO PRACTICE? Hence the reason for this blog post. I want to help you get your calligraphy practice going. Why? Because I know how important it is for your creative development. The simple answer: You already have the time. You don’t find more time; you make the time. We all have the same 24 hrs in the day, even though we’d like the day to have at least 28 hours so we can do more things. Unfortunately, that’s is not possible we have to work with the time we have. If you really want to do something you’ll find a way. If you don’t you’ll find an excuse. You ALWAYS have time for the things that are IMPORTANT to you. Now, I get it. We all wear different hats on a given day. How can you make time when you are a mom and have to take care of your child or children (including your husband)?. Or you’re a full-time student who happens to work full-time as well. Maybe you happen to work full time. The truth is sometimes you just have too many things going on at once. I know how it feels not to have time to do the hobby you’d like. As a stay-at-home mom with a toddler and a husband to tend to, it is hard to make time for myself. 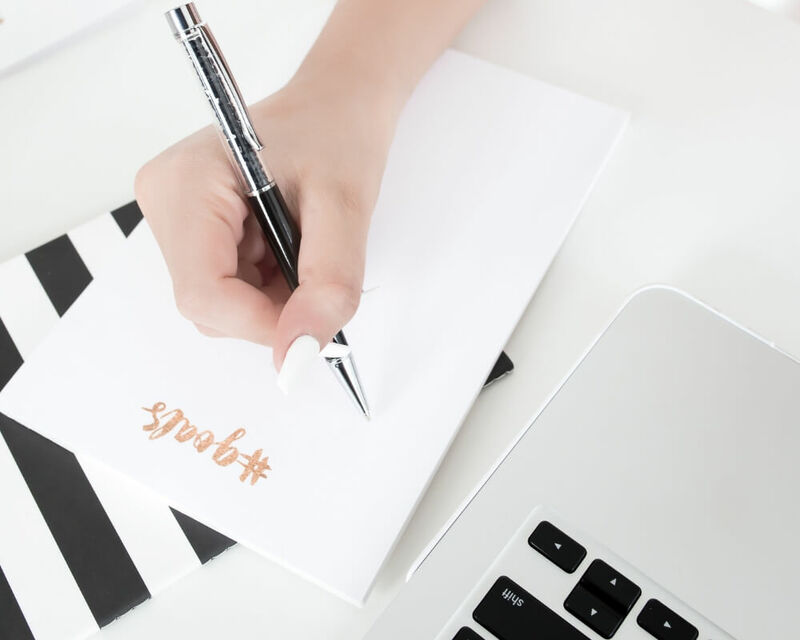 I have a passion for calligraphy has evolved into me wanting to share what I know through this blog. 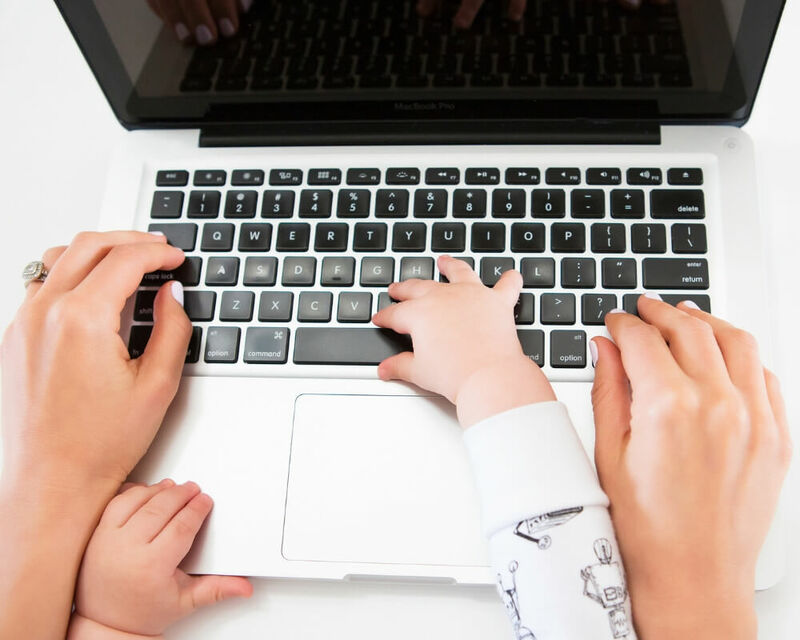 If you’re a stay-at-home mom, then you know the everyday responsibilities never seem to end. If you’re not, then know that this is a 24/7 job. The pay is pure love, but more often than not, doesn’t provide, vacation, sick or personal days. 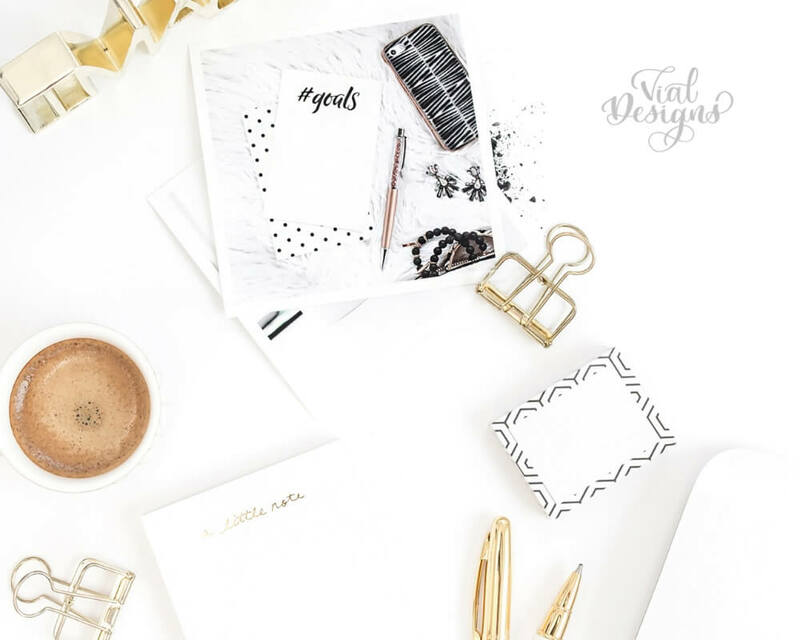 Here is the thing: you are in control of your schedule! Yes, no matter how busy you are or your occupation, there isn’t one thing in your life that you didn’t allow it to be there! That’s why I’m sharing this practical method. I know it will help you make time for practicing your lettering. You can also apply this method for any other hobby or project you’d like to embark on. The only reason why I’m sharing these steps with you is that I’ve already tried them. I’m pleasantly surprised to know how well they actually work. Off course is not enough for you to read this blog post and do nothing. The most important part comes after you act on it and apply the steps I’m going to share with you. These steps are inspired by two fantastic self-help and productivity books I read. The Miracle Morning by Hal Elrod, and The ONE Thing, by Gary Keller with Jay Papasan. Side note before I get into these crucial steps, I highly recommend reading these books. If you’re not into reading, then get them on audiobook. These books have SO many simple yet powerful truth bombs that had me fired up. I’m super excited to share some of the gold nuggets I learned. 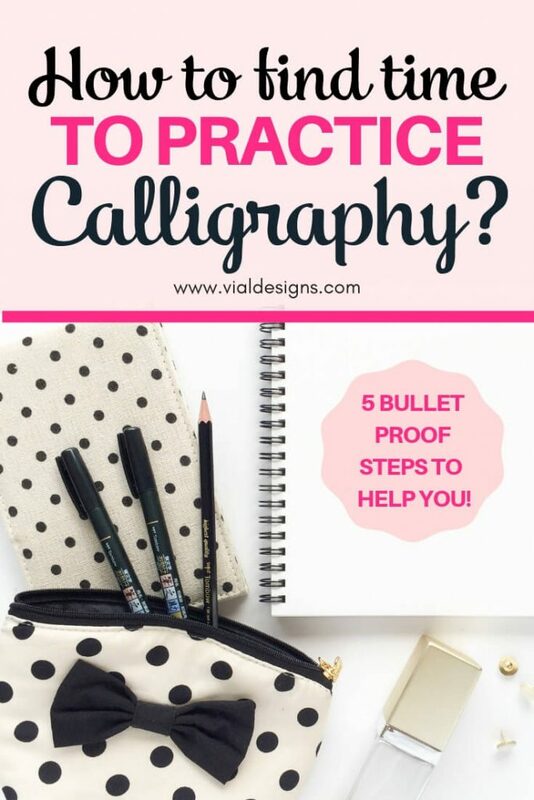 Here are the 5 bulletproof steps that WILL help you make time to practice your lettering. Before you start thinking Whoa! You don’t need to get inspirational on me; I just want to find time to practice. Hear me out. You need to know your WHY for practicing calligraphy. Having a purpose is knowing YOUR WHY. Having a purpose for your calligraphy will help you know what matters to you so you can take daily actions in alignment with it. As with anything in life, there WILL be times in your calligraphy journey where things will get tough, and you will get discouraged. That’s okay! Knowing WHY you’re doing something provides the inspiration and motivation to give the extra push you need when things get difficult. Finding your purpose doesn’t have to be complicated. Just ask yourself: Why you did you decide to learn calligraphy? Your answer can be as simple as I want to learn calligraphy because I want to have a new hobby. Or I decided to learn calligraphy because I want to know how to write beautiful letters. The answer can also be as intricate as you need an outlet to help you get out of your depression. Or you want to have a side hustle and eventually make a full time leaving for it. Your purpose will change over time too. As you learn and experience new things, you’ll find out what you like and don’t like about your lettering journey. So don’t think too hard about your purpose. My purpose has definitely changed over the years in my calligraphy journey. When I started, my purpose was to study this beautiful art so I could address my wedding envelopes. A couple of years ago, my purpose changed. I wanted to find more about lettering so I can create inspirational prints and signs to sell. Now, my mission is to show you simple and practical ways you can learn calligraphy, so you start awakening your creative side. Hence, that’s why I’m sharing everything I know through my blog. Your first step to finding time to practice: know your purpose. 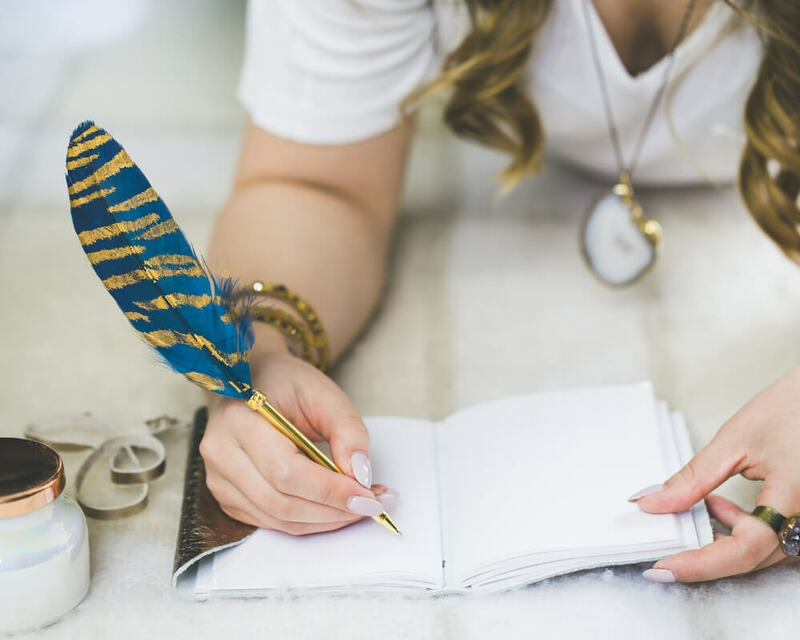 Write down why you’re deciding to learn calligraphy. Planning is bringing the future into the present so that you can do something about it now. – Alan Lakein. 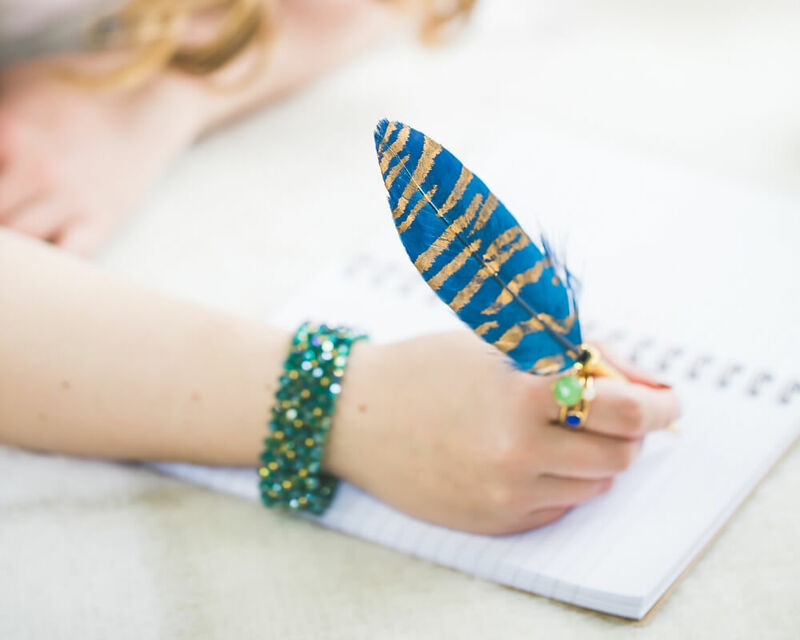 The way you give your calligraphy practice priority is by setting a goal. Something you want to achieve with your lettering practice. Your purpose needs to be connected with your priority. Even if it’s a hobby, there has to be some level of priority. Remember, if you really want to do something, you’ll find a way. Your goal can be as big as you want, but it has to be specific. For example, think of something you’ll eventually like to do with your calligraphy. Then think of something you’d like to accomplish within the next 6-12 months. Doing this will help you start working on your goal RIGHT NOW. Going back to my original purpose for learning calligraphy. I intended to learn calligraphy so that I could address my wedding envelopes. My goal was to learn calligraphy so that I could address my wedding envelopes within 8 months. That was my only focus at the moment. Another critical aspect of setting this goal is to make sure you only start with ONE goal at a given time. One thing to work on at a time. I know how hard this can be in the calligraphy world, especially when you have SO many things you want to learn. Brush pens to watercolors, chalk lettering, iPad lettering, wedding calligraphy, you name it. There is SO much to learn in this calligraphy journey! BUT I can tell you if you aim at too many targets, you’ll hit none. I think it’s okay to want to learn many of the things calligraphy has to offer. But make sure you pick ONE one to focus on at the moment. Dig deep, and you’ll find there is one thing about calligraphy that matters the most to you RIGHT NOW. Then once you learned enough of that technique, move on to the next one. What’s the ONE thing I want to do with my calligraphy journey someday? What is something you’d like to accomplish within the next 6-12 months (or the time frame of your choosing) so that you can get closer to your “Someday” goal? I know, for the most part, time is a limited resource and the way we use it makes a big difference in our life. The best way to make time to practice is by implementing the technique of TIME BLOCKING. Time blocking is a results-oriented way of viewing and using time. It will be your way of making sure your practice gets done. You don’t need all the time in the world to practice a new skill. You need the right amount and know how to use it wisely. Time blocking can be as simple as going to your calendar and blocking time to practice. All you need is at least 30 minutes a day to practice. If you can exercise more, then, by all means, do it, but I recommend at least 30 minutes of your day. I know we have many hats we have to wear on a given day. There are just too many important things you NEED to do. But do you really need to do all those things? Or are you choosing to do them? Check your daily actions. What is your daily schedule? And what can you substitute or replace with calligraphy practice? 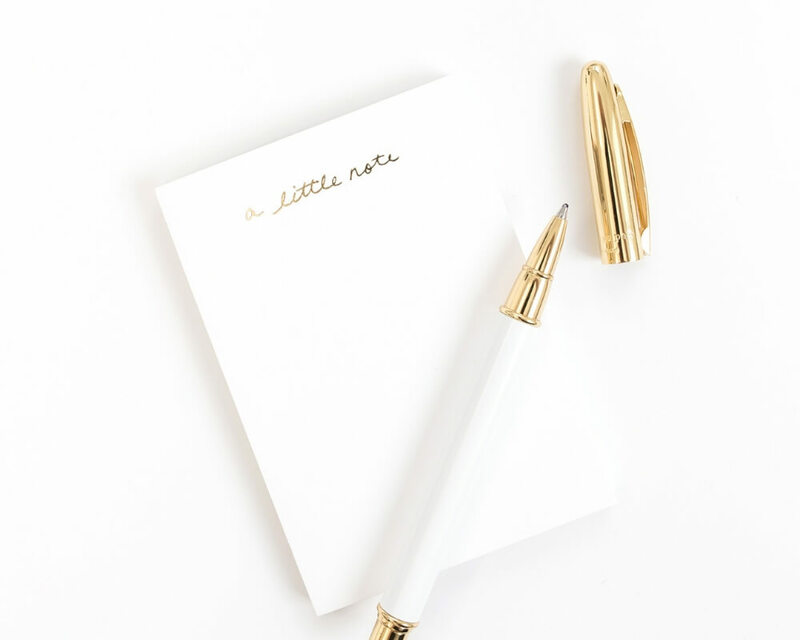 Write a list of things from your daily schedule that you are able (and willing) to sacrifice to make space for your calligraphy practice. 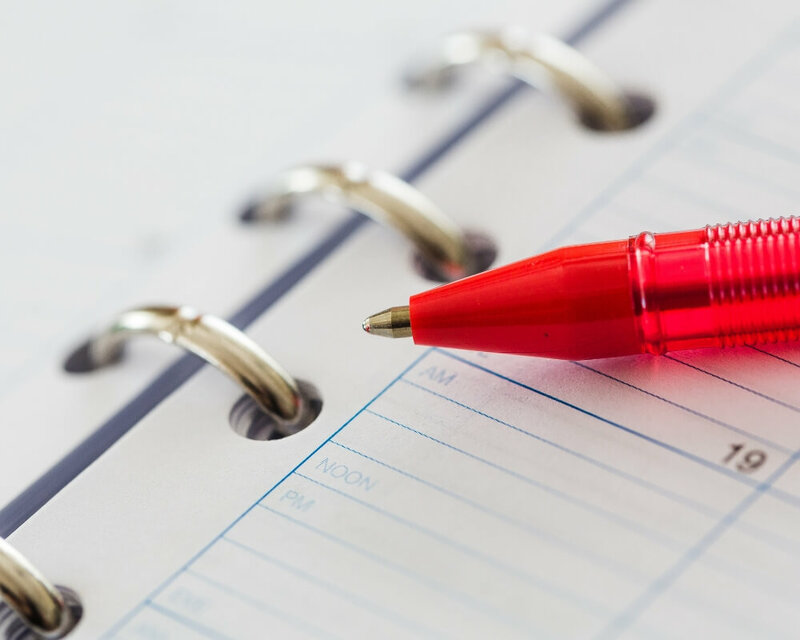 Once you have identified that time on your schedule, make sure you plan accordingly and block it on your calendar. This might mean that you have to give up that extra episode of the Netflix show. Wake up 30 minutes early, maybe stay up 30 minutes late, or get your practice during your 30 minutes lunch break. Whatever time you have that you can replace with calligraphy, that’s the time you will block for you to practice. If you look closer to your daily actions, you’ll find that we can easily spend 30 minutes mindlessly scrolling through Facebook or Instagram. Once you have blocked your time, you have to make sure you protect it. The best way to protect your time blog is to think of it as if it can’t move, cancel, or replace it. It’s a VERY IMPORTANT appointment you have with yourself. Most times we don’t give ourselves the importance we deserve. Knowing exactly what you will be practicing on those 30 minutes will help you make sure you make the most out of your practice. 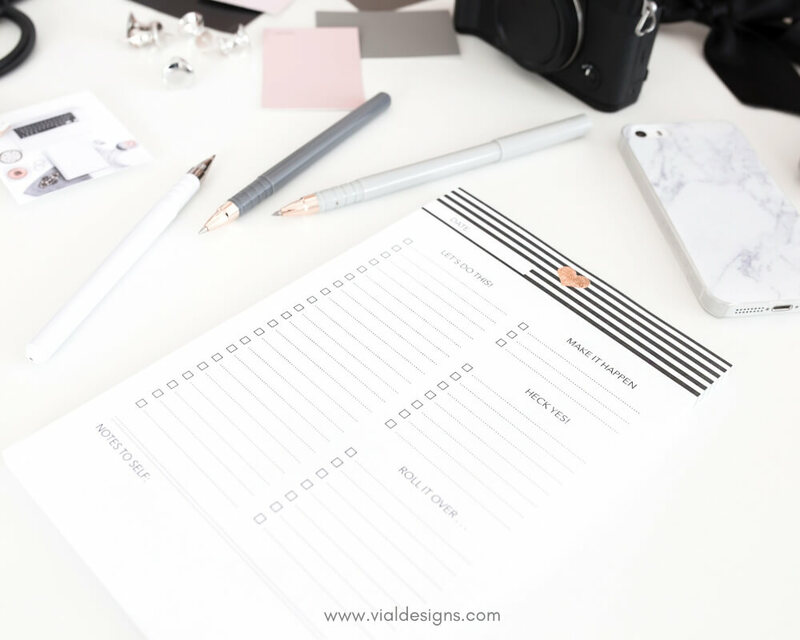 Base this planning time will on your purpose and the goal you set on the first 2 steps. If your goal is to start learning calligraphy, then start with the basics. I recommend starting with Faux Calligraphy. Get your practice worksheets and materials ready for the week. That way, when you’re on your practice time, you dive right in. Even if you don’t have the materials, you can start learning right away. I have FREE practice worksheets on my resource library to help you. 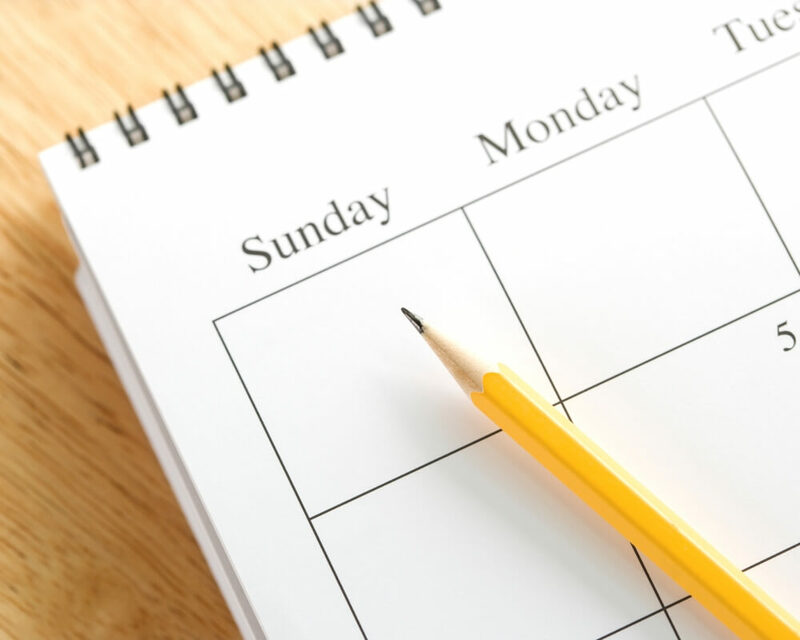 Whatever your goal is, make sure you plan ahead for the week. I like to plan my weeks on Sunday night. I write down my ONE thing to focus on for the following week, then I make sure I block my time for the next week. The best way to make this happen is to hang an annual calendar not the wall then put a big red X across every day you work on your craft. After a few days, you’ll have a chain. Keep at it, and your chain will grow longer every day. You’ll like seeing the chain, especially when you have been at it for a few weeks. Then your job is not to break the chain. After your 30 minutes of daily practice, you create the chain for a week. Once you have a chain going, it gets easier and easier to find time to practice. Momentum and motivation begin to take over. All you have to do is avoid breaking the chain, one day at a time until you generate a powerful new habit. I’m telling you, there is something about NOT wanting to break the chain. You will want to make everything possible, so you don’t break that string of practice! Now that I’m into bullet journaling, I like to keep track of my daily habits on my Habit tracker. Make sure you don’t break that chain for the FIRST thirty days. Then keep it going as long as you can. On average, it takes 66 days to be exact of doing something until the habit becomes automatic. If you keep it going for long enough, then practicing calligraphy for 30 minutes will become part of your daily routine. Something that has to be done or else you’ll fill out of place. This is how you develop a habit of practicing calligraphy or any other hobby you’d like to start. Set a goal and keep it where you can refer back to it often. Use time blocking to schedule your practice time on your calendar. Plan your practice ahead of time. This method only works if you do the work. I shared this with you today because it has worked for me. I know it can work for you too if you take some time to go through these steps and keep making time for yourself. You can make the necessary adjustments based on your current situation. I plan to go into much more detail on how to find time to practice calligraphy. This is an exciting topic for me, and I want to make sure I give you as much information as possible. Please comment below with any questions you have. I’ll be happy to help you! You can also fill out this survey to let me know.